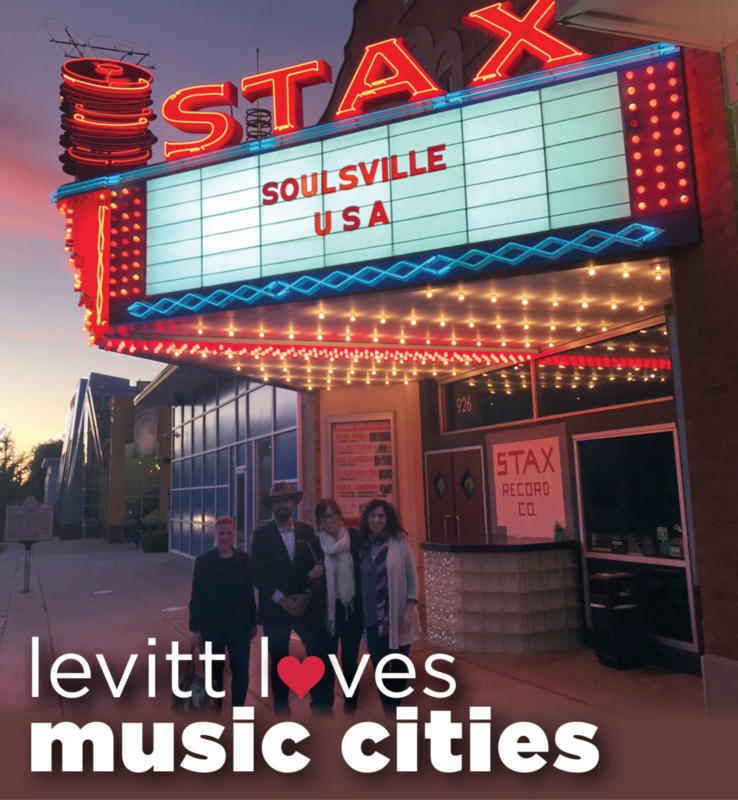 Pictured above: Levitt’s Sharon Yazowski and Vanessa Silberman with Matt Kowal and Lisa Gedgaudas of Denver Arts and Venues in front of the Stax Museum of American Soul in Memphis, Tenn.
Today, Executive Director Sharon Yazowski and Senior Director of Communications & Strategic Initiatives Vanessa Silberman are representing the Levitt Foundation at the 2017 Music Cities Convention in Memphis, Tenn. (one of our nation’s great ‘music cities’!). They’ll be joined by local Levitt Shell Executive Director Anne Pitts and Levitt Pavilion Denver Executive Director Chris Zacher—who’ll be presenting at the conference. What’s a music city? A city that understands the important role music can—and should—play in communities. They’re cities that choose to invest in music because they recognize its ability to enhance economic development, create jobs, drive tourism and build leading global cities. Here’s to the many inspiring music cities across the country and around the world! This entry was posted in Levitt Loves on October 26, 2017 by Nicole McGaffey.